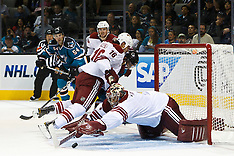 September 24, 2011; San Jose, CA, USA; The San Jose Sharks defeated the Phoenix Coyotes 1-0 in a preseason game at HP Pavilion. 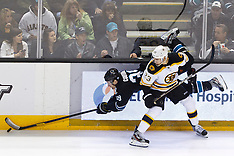 June 15, 2011; Vancouver, BC, CANADA; The Boston Bruins defeated the Vancouver Canucks 4-0 in game seven of the 2011 Stanley Cup Finals at Rogers Arena. 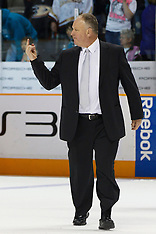 Boston won the Stanley Cup. 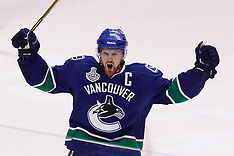 June 10, 2011; Vancouver, BC, CANADA; The Vancouver Canucks defeated the Boston Bruins 1-0 in game five of the 2011 Stanley Cup Finals at Rogers Arena. 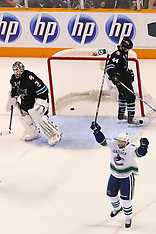 June 4, 2011; Vancouver, BC, CANADA; The Vancouver Canucks defeated the Boston Bruins 3-2 in overtime in game two of the 2011 Stanley Cup Finals at Rogers Arena. 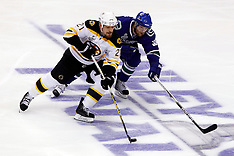 June 1, 2011; Vancouver, BC, CANADA; The Vancouver Canucks defeated the Boston Bruins 1-0 in game one of the 2011 Stanley Cup Finals at Rogers Arena. 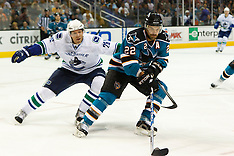 May 22, 2011; San Jose, CA, USA; The Vancouver Canucks defeated the San Jose Sharks 4-2 in game four of the western conference finals of the 2011 Stanley Cup playoffs at HP Pavilion. 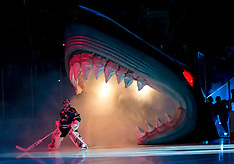 May 20, 2011; San Jose, CA, USA; The San Jose Sharks defeated the Vancouver Canucks 4-1 in game three of the western conference finals of the 2011 Stanley Cup playoffs at HP Pavilion. 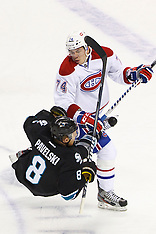 May 8, 2011; San Jose, CA, USA; The Detroit Red Wings defeated the San Jose Sharks 4-3 in game five of the western conference semifinals of the 2011 Stanley Cup playoffs at HP Pavilion. 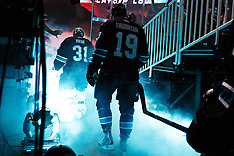 May 1, 2011; San Jose, CA, USA; The San Jose Sharks defeated the Detroit Red Wings 2-1 in game two of the western conference semifinals of the 2011 Stanley Cup playoffs at HP Pavilion. 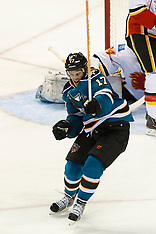 April 29, 2011; San Jose, CA, USA; The San Jose Sharks defeated the Detroit Red Wings 2-1 in overtime in game one of the western conference semifinals of the 2011 Stanley Cup playoffs against the San Jose Sharks at HP Pavilion. 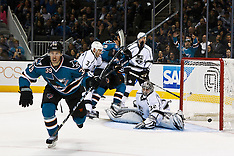 April 14, 2011; San Jose, CA, USA; The San Jose Sharks defeated the Los Angeles Kings 3-2 in overtime at HP Pavilion. 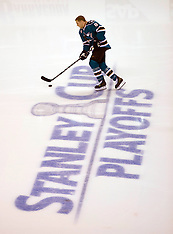 April 4, 2011; San Jose, CA, USA; The San Jose Sharks defeated the Los Angeles Kings 6-1 at HP Pavilion. 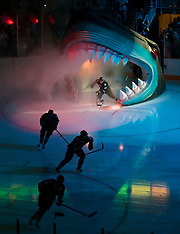 April 2, 2011; San Jose, CA, USA; The San Jose Sharks defeated the Anaheim Ducks 4-2 at HP Pavilion. 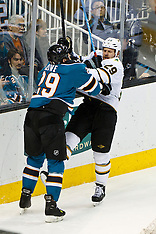 March 31, 2011; San Jose, CA, USA; The San Jose Sharks defeated the Dallas Stars 6-0 at HP Pavilion. 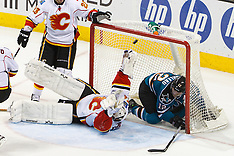 March 23, 2011; San Jose, CA, USA; The San Jose Sharks defeated the Calgary Flames 6-3 at HP Pavilion. 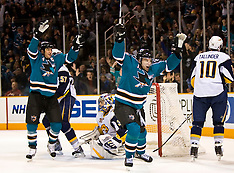 March 19, 2011; San Jose, CA, USA; The San Jose Sharks defeated the St. Louis Blues 5-3 at HP Pavilion. 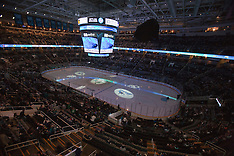 March 17, 2011; San Jose, CA, USA; The San Jose Sharks defeated the Minnesota Wild 3-2 at HP Pavilion. 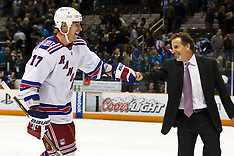 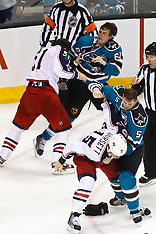 March 12, 2011; San Jose, CA, USA; The New York Rangers defeated the San Jose Sharks 3-2 in shootouts at HP Pavilion. 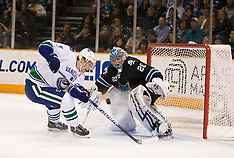 March 10, 2011; San Jose, CA, USA; The Vancouver Canucks defeated the the San Jose Sharks 5-4 in shootouts at HP Pavilion. 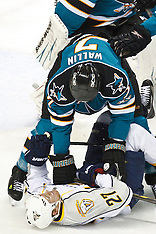 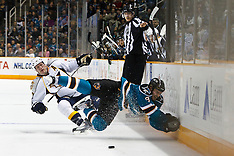 March 8, 2011; San Jose, CA, USA; The San Jose Sharks defeated the Nashville Predators 3-2 in overtime at HP Pavilion. 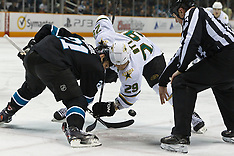 March 5, 2011; San Jose, CA, USA; The Dallas Stars defeated the San Jose Sharks 3-2 at HP Pavilion. 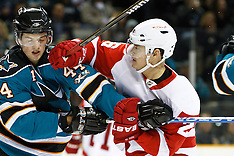 March 3, 2011; San Jose, CA, USA; The San Jose Sharks defeated the Detroit Red Wings 3-1 at HP Pavilion. 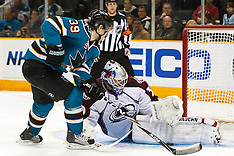 March 1, 2011; San Jose, CA, USA; The San Jose Sharks defeated the Colorado Avalanche 2-1 in shootouts at HP Pavilion. 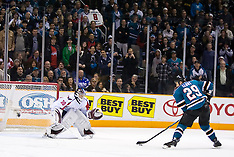 February 17, 2011; San Jose, CA, USA; The San Jose Sharks defeated the Washington Capitals 3-2 at HP Pavilion. 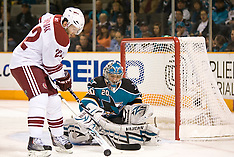 February 1, 2011; San Jose, CA, USA; The San Jose Sharks defeated the Phoenix Coyotes 5-3 at HP Pavilion. 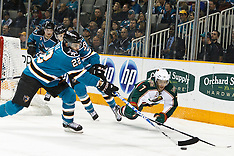 January 22, 2011; San Jose, CA, USA; The San Jose Sharks defeated the Minnesota Wild 4-3 at HP Pavilion. 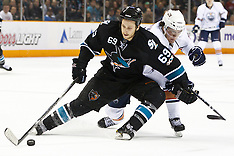 January 22, 2011; San Jose, CA, USA; The San Jose Sharks defenseman defeated the Minnesota Wild 4-3 at HP Pavilion. 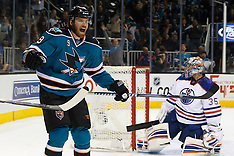 January 13, 2011; San Jose, CA, USA; The Edmonton Oilers defeated the San Jose Sharks 5-2 at HP Pavilion. 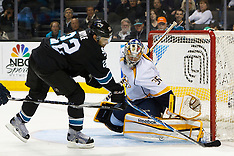 January 8, 2011; San Jose, CA, USA; The Nashville Predators defeated the San Jose Sharks 2-1 at HP Pavilion. 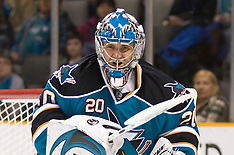 January 6, 2011; San Jose, CA, defeated the San Jose Sharks 3-0 at HP Pavilion. 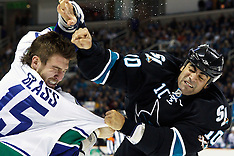 January 3, 2011; San Jose, CA, USA; The Vancouver Canucks defeated the San Jose Sharks 4-3 at HP Pavilion. 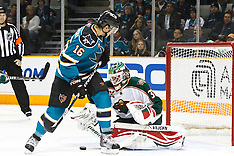 December 13, 2010; San Jose, CA, USA; The Dallas Stars defeated the San Jose Sharks 3-2 in shootouts at HP Pavilion. 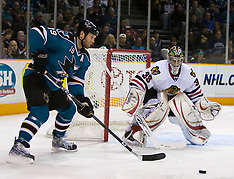 December 11, 2010; San Jose, CA, USA; The San Jose Sharks defeated the Chicago Blackhawks 2-1 in overtime at HP Pavilion. 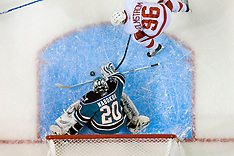 November 30, 2010; San Jose, CA, USA; The Detroit Red Wings defeated the San Jose Sharks 5-3 at HP Pavilion. 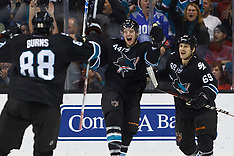 November 15, 2010; San Jose, CA, USA; The San Jose Sharks defeated the Los Angeles Kings 6-3 at HP Pavilion. 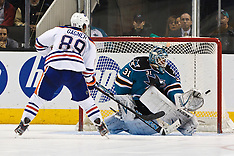 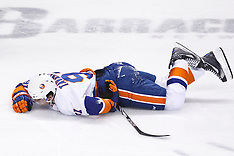 November 11, 2010; San Jose, CA, USA; The San Jose Sharks defeated the New York Islanders 2-1 in shootouts at HP Pavilion. 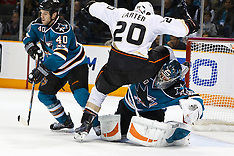 November 9, 2010; San Jose, CA, USA; The Anaheim Ducks defeated the San Jose Sharks 3-2 in overtime at HP Pavilion. 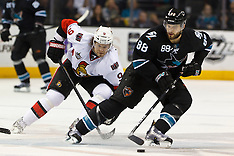 May 18, 2010; San Jose, CA, USA; The Chicago Blackhawks defeated the San Jose Sharks 4-2 in game two of the western conference finals of the 2010 NHL Stanley Cup Playoffs at HP Pavilion. 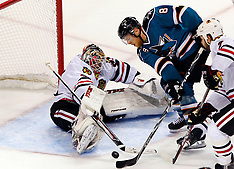 May 16, 2010; San Jose, CA, USA; The Chicago Blackhawks defeated the San Jose Sharks 2-1 in game one of the western conference finals of the 2010 Stanley Cup Playoffs at HP Pavilion. 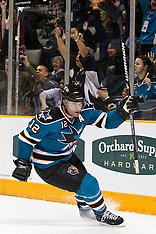 April 29, 2010; San Jose, CA, USA; The San Jose Sharks defeated the Detroit Red Wings 4-3 in game one of the western conference semifinals of the 2010 Stanley Cup Playoffs at HP Pavilion. 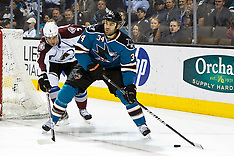 April 22, 2010; San Jose, CA, USA; The San Jose Sharks defeated the Colorado Avalanche 5-0 in game five in the first round of the 2010 Stanley Cup Playoffs at HP Pavilion. 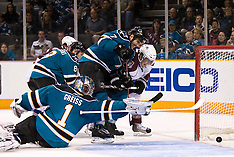 April 16, 2010; San Jose, CA, USA; The San Jose Sharks defeated the Colorado Avalanche 6-5 in game two in the first round of the 2010 Stanley Cup Playoffs at HP Pavilion. 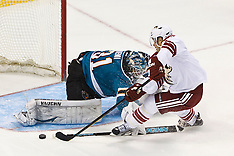 April 10, 2010; San Jose, CA, USA; The San Jose Sharks defeated Phoenix Coyotes 3-2 in NHL hockey in a shootout at HP Pavilion. 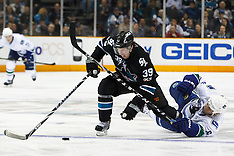 April 8, 2010; San Jose, CA, USA: The San Jose Sharks defeated the Vancouver Canucks 4-2 in NHL hockey at HP Pavilion. 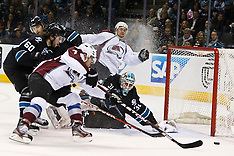 March 28, 2010; San Jose, CA, USA; The San Jose Sharks defeated the Colorado Avalanche 4-3 in NHL Hockey at HP Pavilion. 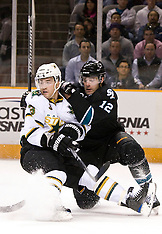 March 25, 2010; San Jose, CA, USA; The San Jose Sharks defeated the Dallas Stars 3-0 in NHL Hockey at HP Pavilion. 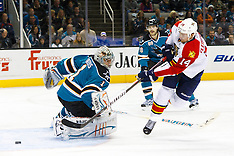 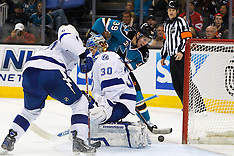 March 13, 2010; San Jose, CA, USA; The Florida Panthers defeated the San Jose Sharks 3-2 in overtime at HP Pavilion. 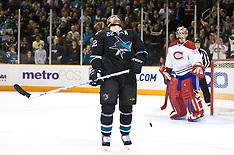 March 4, 2010; San Jose, CA, USA; The San Jose Sharks defeate the Montreal Canadiens 3-2 in NHL Hockey at HP Pavilion. 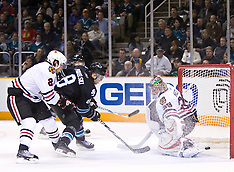 January 28, 2010; San Jose, CA, USA; The Chicago Blackhawks defeated the San Jose Sharks 4-3 in overtime in NHL Hockey at HP Pavilion. 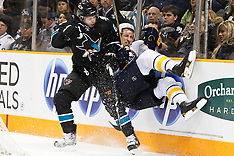 January 23, 2010; San Jose, CA, USA; The San Jose Sharks defeated the Buffalo Sabres 5-2 in NHL Hockey at HP Pavilion. 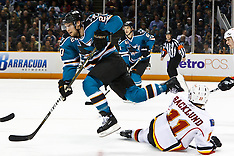 January 21, 2010; San Jose, CA, USA; The San Jose Sharks defeated the Anaheim Ducks 3-1 in NHL Hockey at HP Pavilion. 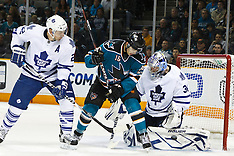 January 11, 2011; San Jose, CA, USA; The Toronto Maple Leafs defeated the San Jose Sharks 4-2 at HP Pavilion. 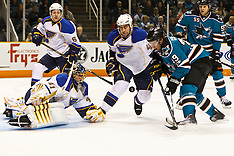 January 6, 2010; San Jose, CA, USA; The San Jose Sharks defeated the St. Louis Blues 2-1 in overtime in NHL Hockey at the HP Pavilion. 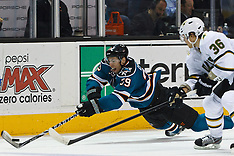 January 4, 2010; San Jose, CA, USA; The Los Angeles Kings defeated the San Jose Sharks 6-2 in NHL Hockey at HP Pavilion. 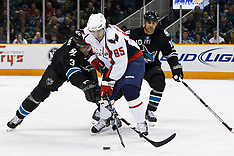 December 30, 2009; San Jose, CA, USA; The San Jose Sharks defeated the Washington Capitals 5-2 in NHL Hockey at the HP Pavilion. 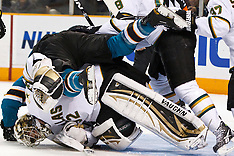 December 11, 2009; San Jose, CA, USA; The Dallas Stars defeated the San Jose Sharks 3-2 in the 11th round of a shootout in NHL Hockey at HP Pavilion. 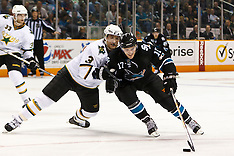 December 9, 2009; San Jose, CA, USA; The Los Angeles Kings defeated the San Jose Sharks 5-4 in overtime at HP Pavilion. 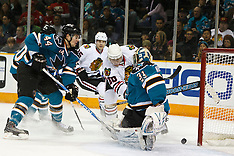 November 25, 2009; San Jose, CA, USA; The Chicago Blackhawks defeated the San Jose Sharks 7-2 in NHL Hockey at the HP Pavilion. 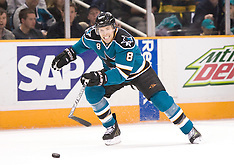 October 8, 2009; San Jose, CA, USA; The San Jose Sharks defeated the Columbus Blue Jackets 6-3 at HP Pavilion in the home opener for the Sharks.